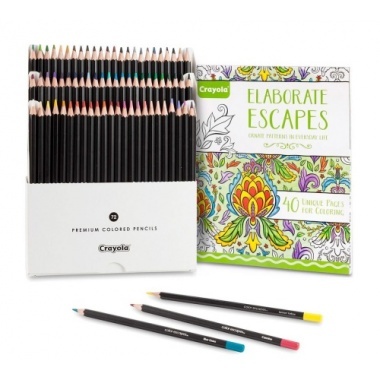 (1) Color Escapes Premium 72 ct. 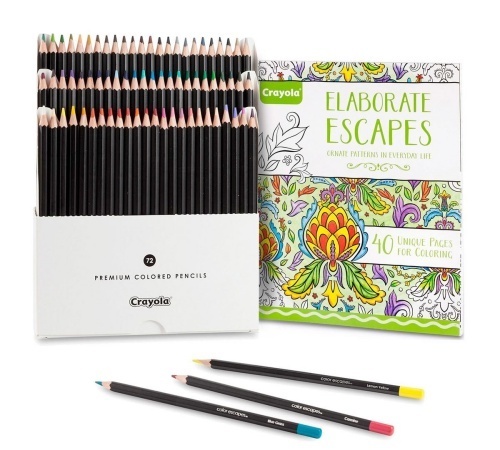 Colored Pencils which include a select assortment of 72 colors in a balanced array of shades. (1) Elaborate Escapes Coloring Book includes 40 pages on high-quality paper offering soothing scenes to color for adults and kids alike. Lose yourself in a complex-but-relaxing coloring art celebrating natural occurring patterns. Perforated for easy tear out and framing. Enjoy coloring again with complex-but relaxing art celebrating naturally occurring patterns.